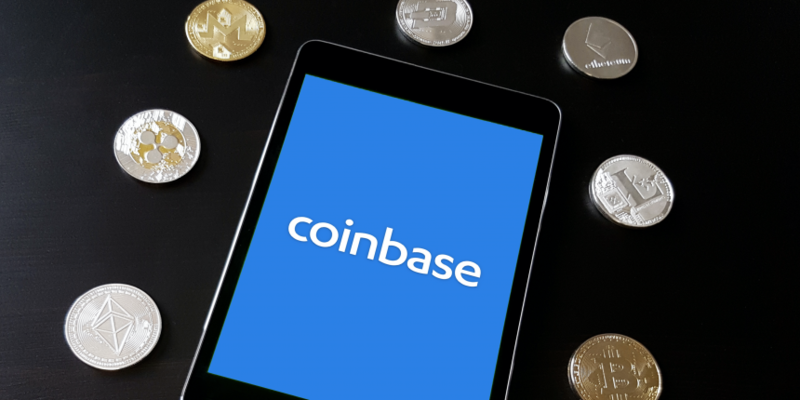 Coinbase’s professional trading platform has added support for browser startup Brave’s Basic Attention Token (BAT). 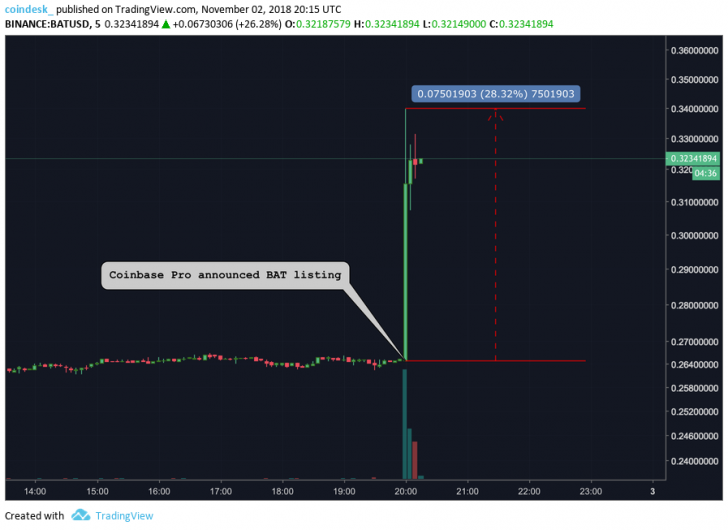 Coinbase announced Friday that it would begin accepting BAT deposits as of 20:00 UTC to its professional trading platform for at least 12 hours, at which point it will enable trading. The company is not yet adding the token to its retail trading platforms, including coinbase.com or its iOS and Android apps. As with other launches, the token will be added in four stages: transfer-only, when customers can deposit, post-only, when customers can post limit orders, limit-only when customers can begin matching orders and full trading. Customers in New York will not immediately be able to trade BAT. As can be seen in the above chart, BAT began to surge at 20:00 UTC on the dot. Its price quickly jumped 28 percent in less than five minutes to reach a three month high of $0.33 cents, according to data from the Binance exchange. Further, over $15 million worth of BAT was traded in that 5-minute span on Binance alone – an amount greater than the entire previous day. BAT is the latest token to be listed on the Coinbase platform, following the 0x Protocol token (ZRX) and the USD//Coin stablecoin (USDC), both of which were added last month. The exchange already supports bitcoin, bitcoin cash, litecoin, ethereum and ethereum classic.